Dr. Ashraf Badawi is currently a visiting Professor of Dermatology at Szeged University, Hungary. Dr Badawi has graduated from the Faculty of Medicine Cairo University, Egypt in 1992. In 1997, he obtained the MSc degree in Dermatology and Venereology followed by a Diploma in the Laser Applications in Biology and Medicine in 1998 from Cairo University too. In 2001, Dr. Badawi obtained a Diploma in General Surgery from the Faculty of Medicine, Cairo University. In 2007, Dr. Badawi received a PhD degree in Laser Applications in Dermatology from the National Institute of Laser Enhanced Sciences, Cairo University, Egypt. In 2011, Dr. Badawi obtained a second PhD in Clinical Medical Sciences from Szeged University, Hungary. During his career path, Dr. Badawi has actively participated in more than 200 International Dermatology conferences with lectures and workshops. 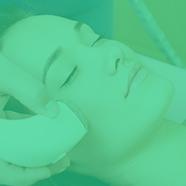 Within the past 15 years He was directly involved in training of more than 2500 Dermatologists all over the world for Laser Applications in Dermatology. · President Elect of the European Society of Cosmetic and Aesthetic Dermatology (ESCAD). · Director of The Middle East Master Course at IMCAS Paris, 2015, 2016 & 2017 meetings.
. Director of the IMCAS Alert, Lases & EBD page. Laser assisted drug delivery for melasma: where we are now? Body shaping: do we know what is the target? Body shaping: what is the objective? Body shaping: do we know what the target is? Epidermal barrier function restoration - The forgotten step! Do we really need a picosecond laser?